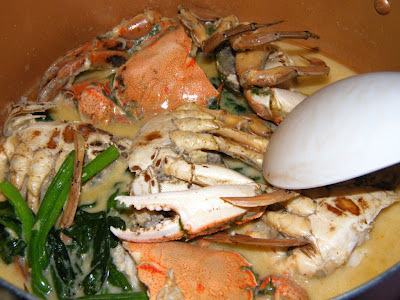 We had ginataang alimango (crabs in coconut cream) last Sunday, and needless to say, we forgot our diet for that meal! 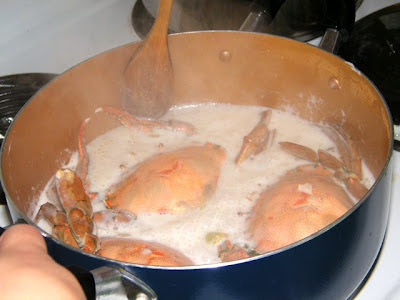 The crabs were fresh and scrumptious, the coconut cream was absolutely divine on the hot rice, and it just had a mild spiciness which complemented the dish. Heat up a small amount of cooking oil in a heavy-bottomed pot. 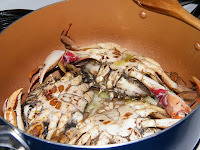 Add the crabs, and let the heat cook it for a couple of minutes. 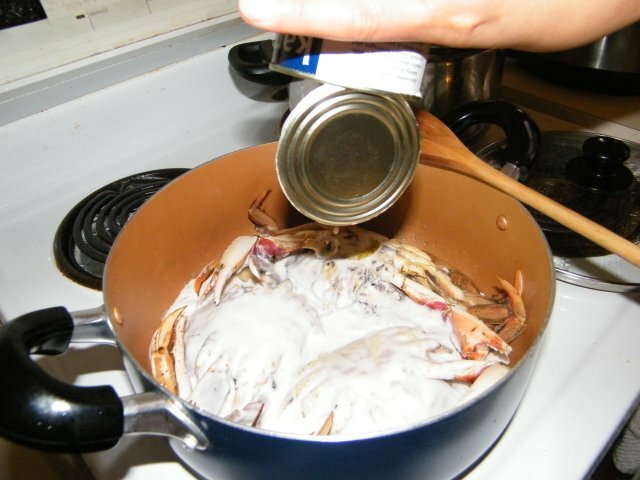 Add the coconut cream, cover and simmer for about 15 minutes. 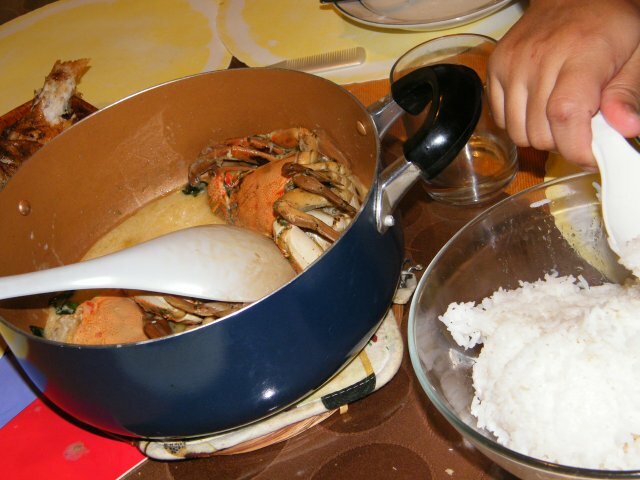 Halfway through the cooking, you might want to flip over the crabs to ensure the other side gets cooked through and absorb the coconut flavour. Add the spinach and the chillies (which we added whole) and let simmer for about a minute. 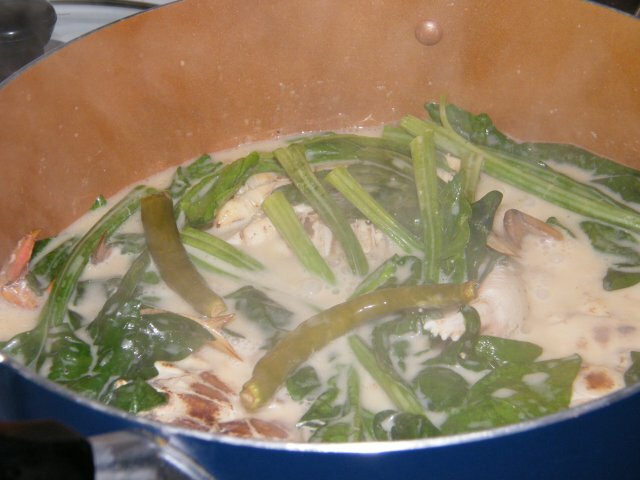 Taste the coconut cream sauce and season with salt and pepper. Before serving, take the crabs out of the pot and cut into halves and return to the pot. This makes it easier to handle the crabs.